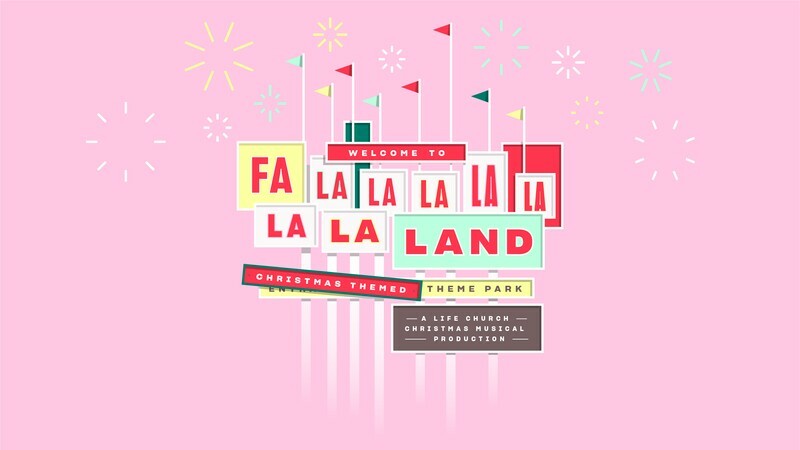 You are invited to a Falalalalala LaLaLand: A Life Church Christmas Musical Production! It's happening on Sunday 16th December, and there will be two shows - 10am and 2pm, both with free entry so come and celebrate the true meaning of Christmas with us! And as for the show? Imagine a theme park… a Christmas-themed theme park, overlaid with a musical extravaganza, peppered with theatrical highlights and you might be close to imagining the awesomeness that is the Life Church Christmas Production this year. Invite all your family and friends so they don't miss out on what is going to be an amazing production! Parking and seating is limited, so please arrive early to ensure you can find a car park and a seat.